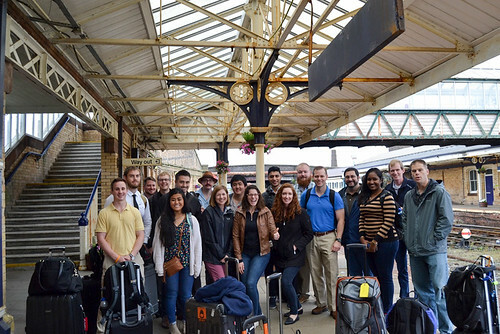 Participants in the 2017 UK NFE. The TEES Nuclear Security Science and Policy Institute (NSSPI) organized the Fourth Nuclear Facilities Experience (NFE) from June 26-30 in the United Kingdom. This NFE, sponsored by the U.S. National Nuclear Security Administration’s (NNSA) Next Generation Safeguards Initiative Program Office, consisted of visits to several nuclear fuel cycle facilities. 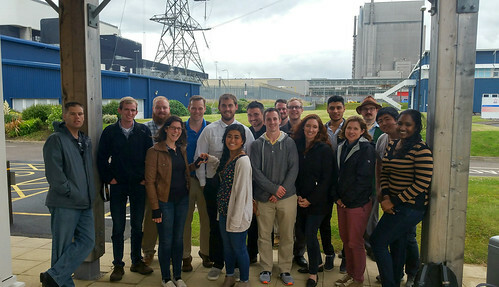 It is an opportunity for nuclear engineering graduate students at American universities who are specializing in areas ranging from material control and accounting and international safeguards to nuclear security and nonproliferation to gain first-hand experience of how safeguards are implemented at these types of facilities. 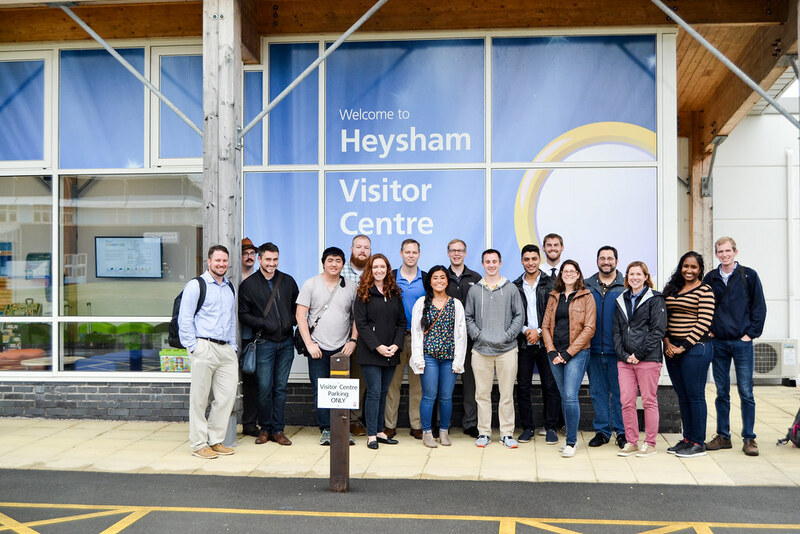 Participants were able to view operations and material control and accounting measures at facilities not available in the United States. 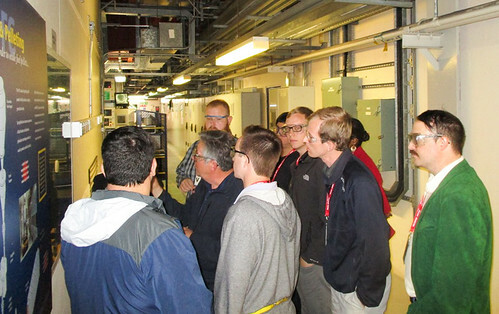 This was the third subsequent NFE that included early-career scientists at national laboratories in an effort to facilitate strong professional networks for participating students while also developing a practical knowledge base for these young professionals. 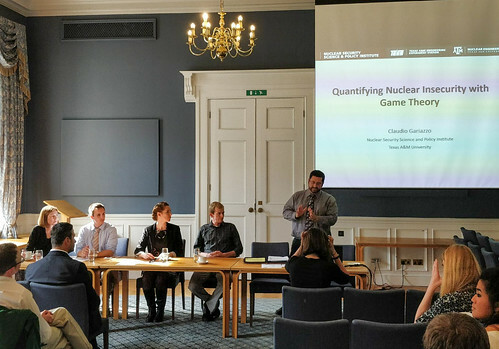 Participants in the 2017 UK NFE included students from seven U.S. colleges, professionals from two national laboratories and the NNSA, and faculty members from Oregon State University and Texas A&M University. The tour was coordinated by NSSPI Research Engineer Claudio Gariazzo. Texas A&M nuclear engineering students J.T. 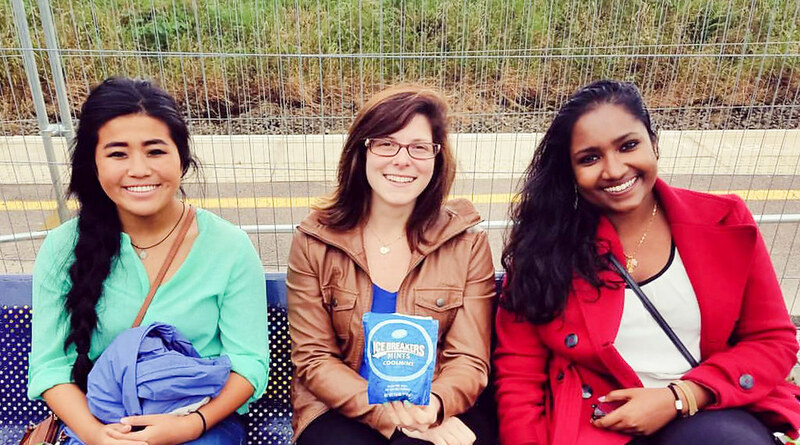 Falkner, Barbara Fisher, Mohammed Hawila, and Athena Sagadevan were among the NFE participants. 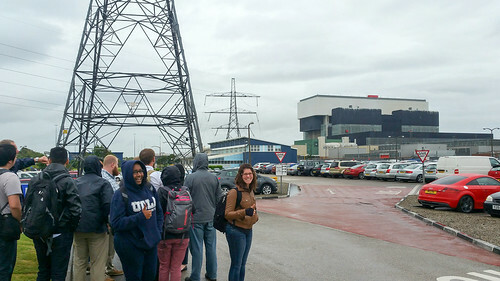 Sites visited during the NFE included: the URENCO UK uranium enrichment plant in Capenhurst; the Sellafield Nuclear site in Seascale, Cumbria, which includes the Thermal Oxide Reprocessing Plant (THORP) and the decommissioned Calder Hall nuclear power station; Heysham Nuclear Power Station in Heysham, Lancashire; and Westinghouse’s Fuel Fabrication facility in Springfields, UK. The week concluded at King’s College London (KCL) for an educational exchange with colleagues and students in the KCL College of War Studies’s Centre for Science and Security Studies (CSSS), which conducts research on the sociological and political science aspects of nuclear security and arms control. 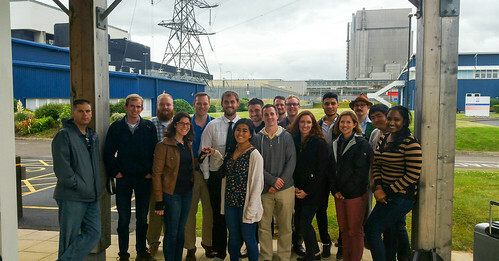 The exchange included presentations from CSSS faculty and students, as well as the NFE participants from the U.S.
During the course of the NFE, both students and professionals were able to see nuclear facilities that do not exist in the U.S. and engage in discussions with practitioners and operators with intimate knowledge of these facilities. 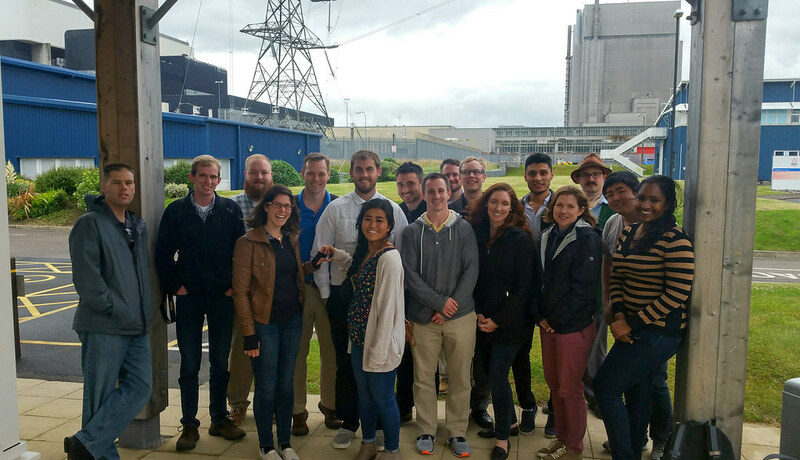 Furthermore, they were able to gain first-hand experience of the fuel cycle for two types of fuel from the fuel assembly fabrication step, through transmutation by two different types of reactors, to the reprocessing of the spent fuel assemblies. Additionally, visiting the uranium enrichment plant was important for the participants to gain an understanding of the complete fuel cycle. 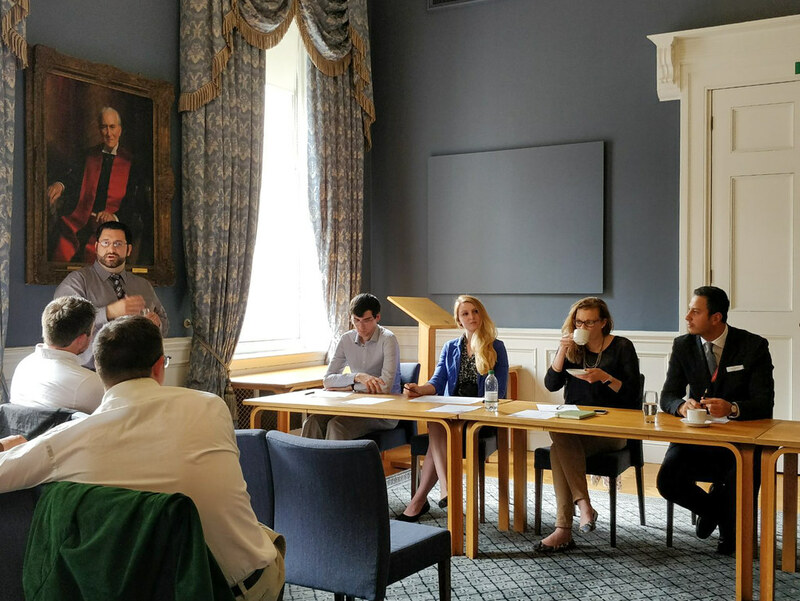 Engagement with KCL gave participants an opportunity to extend their international network and be exposed to the work that is being done in the field in other institutions and from different perspectives. 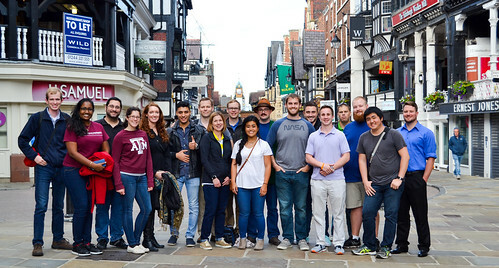 According to Gariazzo, “Experiences like this are an important part in professional and educational development – learning about these facilities in class is no substitute for real-world experiences where individuals can learn from the people who are actually accomplishing the work.” Another NFE is planned for August in Japan.